We have the following funding available, please contact us for further information and to discuss the options that may be most suitable to you and your company. We can now offer both Levy and Non Levy funding for apprenticeships. Speak to our team to discuss your business and the advantages of an apprentice. Levy Funding – UK employers with a pay bill of £3million or more will pay an apprenticeship levy. They can access this money through the Apprenticeship Service and it can only be used for apprenticeship training and development in their own organisation. If they don’t use the levy funds within two years then it goes back to the Government. If they use all their levy and want to train more apprentices, they’ll pay for them using the same model as an SME. The levy is collected by HMRC via the PAYE process. There is a £15,000 allowance and the Government will top-up monthly funds for apprenticeship training by 10%. No employer is exempt. Non Levy – Non-levy paying (micro-businesses and SMEs). SMEs with a pay bill under £3million contribute 10% of the total apprenticeship cost and the Government pays the remaining 90%. The same model is used for levy-paying employers who have exhausted their funds. The Government will fund 100% of the cost of apprenticeship training for a 16-18 year old for businesses with fewer than 50 employees. Green Labyrinth Training are proud to be sub-contractors to Summerhouse Training for our Adult Education Budget. 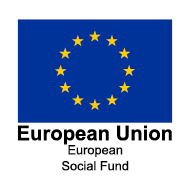 The AEB funding is allocated by the ESFA’a (Education and Skills Agency). It’s principal purpose is to engage adults and provide the skills and learning they need to equip them for work, an apprenticeship or further learning. 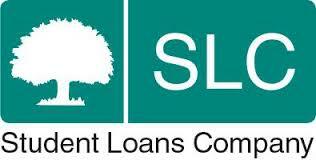 If a learner does not qualify for funding we also offer the popular Advanced Learner Loan as well. These loans offer flexible funding to individuals with no credit checks and no payments until learning is complete and a minimum of £25,000 p/a is earned.